We’ve covered Disney’s long-standing relationship with Make-A-Wish® on Disney Post, but you may be wondering how Disney and Make-A-Wish work together—and have for nearly 35 years—to make wishes come to life for children with life-threatening medical conditions, nearly 100,000 times since 1980. A part of the answer is through dedicated Disney VoluntEARS like Russell Dott from The Walt Disney Studios. 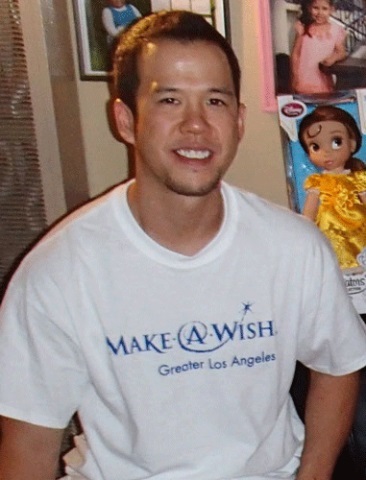 Since December 2013, Russell has played a significant role in bringing smiles and cheer to families around the country—both as an employee of Disney and as a wish granter with Make-A-Wish. In the spirit of Compassion Month, Disney Post sat down with Russell to learn more about his experience with Make-A-Wish and the wish-granting process. Why is working with Make-A-Wish so special to you? Russell Dott (RD): You can’t help but think of how rough the treatment process is for these kids. To know that you helped put a smile on their face and make that process a little easier for them is a special feeling. Tell us about one of your most memorable Make-A-Wish projects. RD: My most memorable project would have to be the first wish I helped grant. Our wish kid wanted to see Muppets Most Wanted, and I flew out to Minnesota with a copy of the movie to screen in her hospital room with her family. It was great to see how quickly the Studio moved to make this happen for her, and it was pretty amazing that the Muppets team filmed a special introduction with Kermit and crew—just for her! It made me a proud Disney employee and really planted the seed for future volunteer work. How does it feel knowing you’ve made so many kids’ Disney and other wishes come true? RD: It’s awesome. It really helps to put things in perspective and makes you realize what’s important in life. What’s your role in making wishes come true, and what does it take to fulfill a wish, whether large or small? RD: Thus far, I have helped wish kids discover their one, true wish and have revealed wishes to them. In the discovery phase, you meet with a family and ask a few questions about a wish kid’s likes and interests in an effort to help them envision their wish. When it comes to the reveal process, you plan a party to celebrate a wish kid and prepare gifts to give before the big wish reveal. I really have to tip my hat to the volunteers behind the scenes who work very hard to make all kinds of wishes come true for so many families. My role may be small compared to everything they do, but it is a tremendous honor to play a part in the process. What a great organization! 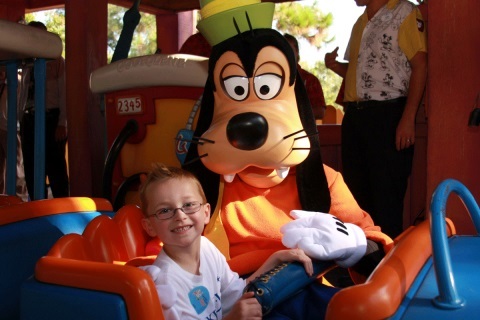 Disney supports one of every two wishes granted by Make-A-Wish annually across the country. To learn more, visit wish.org or worldwish.org.